A large quantity of SLR film Cameras to include; Minolta, Nikon, Canon, etc. 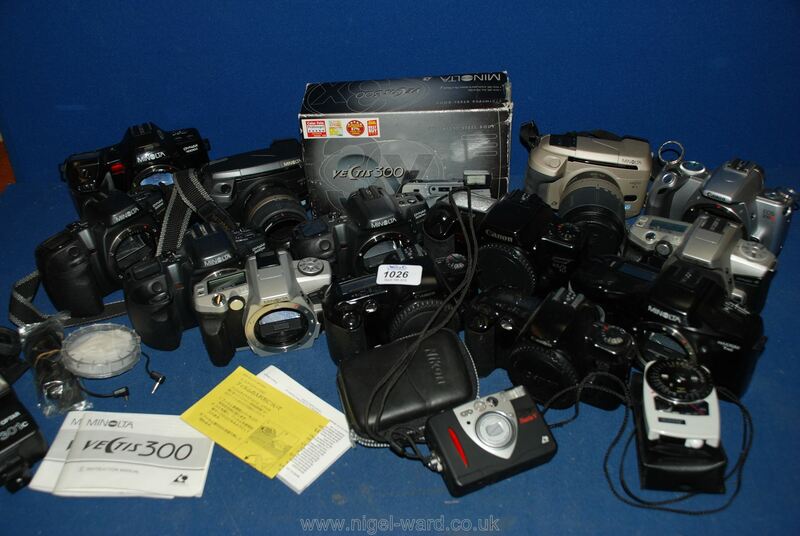 Lot 1025 A large quantity of SLR film Cameras to include; Minolta, Nikon, Canon, etc. Lot 1027 A large quantity of SLR film Cameras, lenses and flashes.